This weekend sees the final of the Australian Open, one of the world's most renowned tennis tournaments. It's a truly international affair, with Scottish player Andy Murray taking on Serbia's Novak Djokovic in the men's final, and Belgian Kim Clijsters playing Na Li, the first Chinese player ever to reach a grand-slam final. To mark the occasion, today's quiz will be all about tennis, with the answers available in Biography Reference Bank or later today in a tweet. 1. On September 6, 1975, my request for asylum in the U.S. was granted, and although I had a rocky year in 1976, I bounced back in 1977 to bcome the first female tennis player to earn $100,000 in one year. Who am I? 2. I was born in the U.S., but my father was an Armenian who boxed for Iran in the 1948 and 1952 Olympics. Who am I? 3. 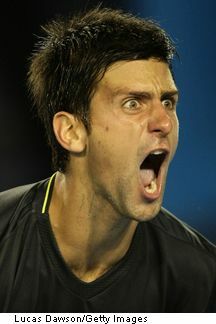 In January 1997, at the age of 15 years 11 months, I became the youngest person ever to compete in the Australian Open. Who am I? 4. In addition to having won numerous singles and doubles titles, including the 2002 Australian Open Women's Doubles prize, I also speak six languages and am a classically trained pianist. Who am I? 5. 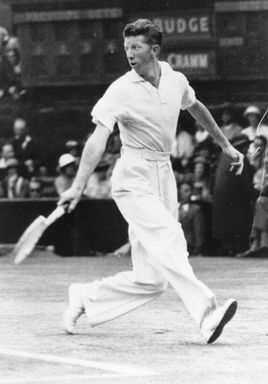 A pioneer practitioner of power tennis, I was the first player to win the Grand Slam: Australian Open, French Open, U.S. Open, and Wimbledon. Who am I? I like this article, Wilson Tennis Racketsgive us a better life. Meanwhile, also Wilson Tennis Rackets welcome your return visit. Players of tennis can keep their knowledge about this game on the peak with read of these questions. Due to limited budget students always want to hire cheap writing service from online writer that can give best results. Don't miss a minute of the prestigious Wimbledon Championships when you can stream it live or watch replays at a later time.